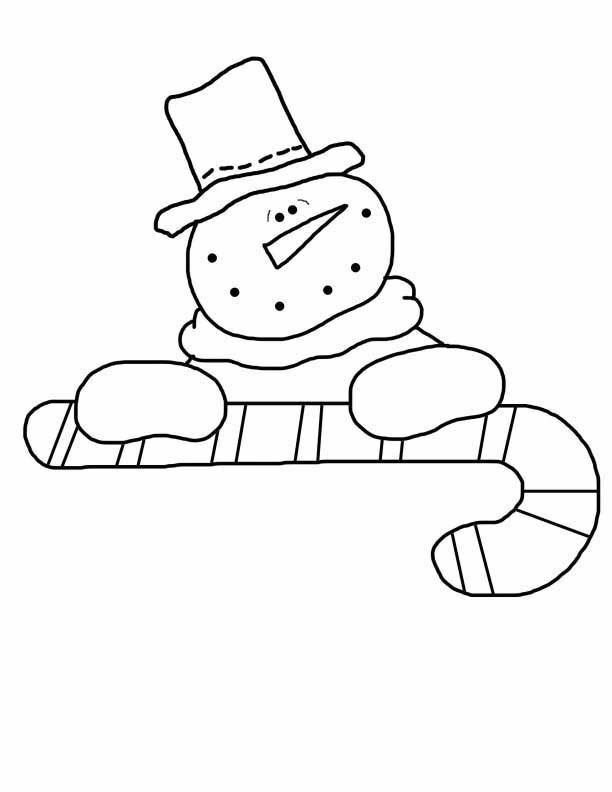 Snowman template - free and printable. Flaky the Snowman with top hat and mittens is resting on a candy cane. Use as coloring page, crafting, Christmas activities.